Integrated learning is when two or more concepts can be explored in the one activity (or by using the one product). That's what I'm talking about today - bringing shape, colour and light together with some fun learning experiences and educational products for preschoolers. 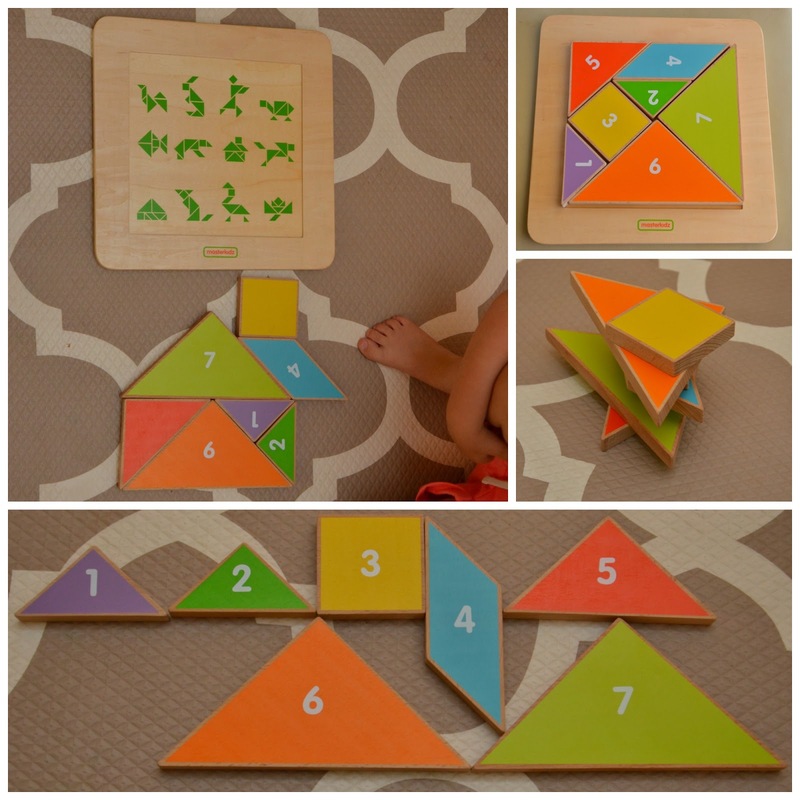 Thanks so much to Wooden Wonderland who sent us this tangram puzzle, and colour viewer for the purpose of this blog post - and by the way, when you pop over there, take note that the Educational products are organised into learning areas making it really easy to find what you're looking for. 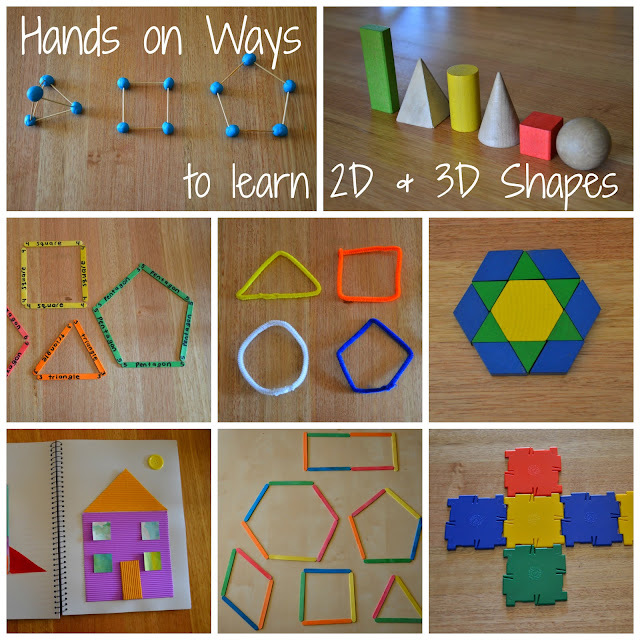 The great thing about teaching shape and colour to preschoolers, is that they go hand in hand and there are lots of opportunities for incidental learning. It's all about the language you use, eg "Pass me the blue square, can you find the yellow triangle, what colour is the circle?" 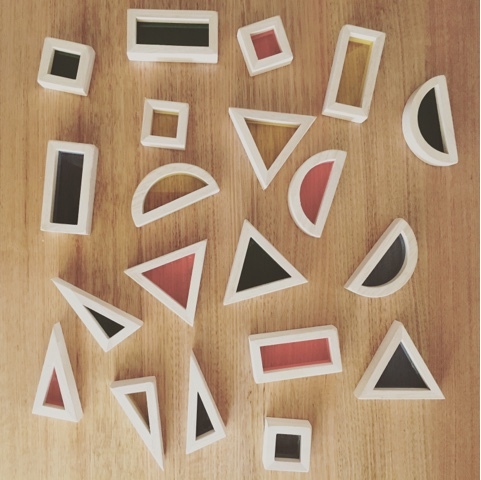 A tangram is a geometrical puzzle consisting of a square cut into seven pieces which can be arranged to create many different shapes and pictures. They can be quite tricky, so for little preschoolers I'd suggested using a template for them so they know how to put the puzzle back together, as well as some examples of simple things they can make... At around the age of 6-8, school children will be able to explore with tangrams a lot more (the puzzle from Wooden Wonderland has some picture examples underneath the pieces as you can see). The wooden pieces are a beautiful quality, Miss M and I explored some other ways to play with it such as making a tower, and putting the numbers in order. 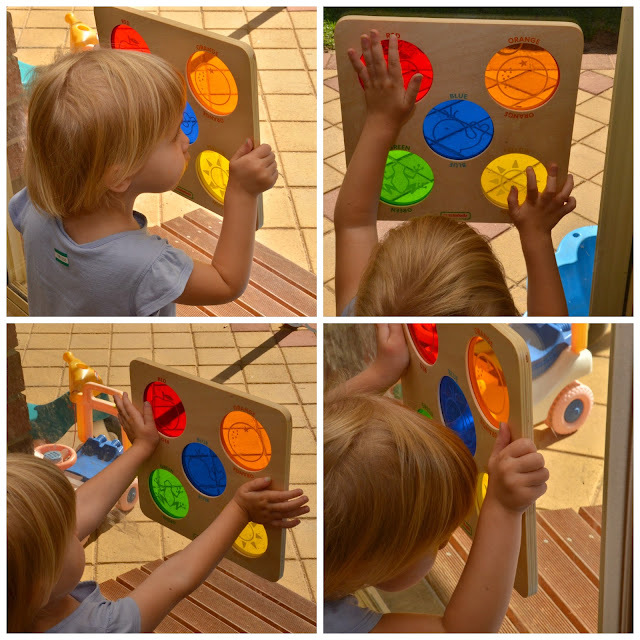 Miss M loved looking at the world through the colour viewer - it's lovely to watch young children be so amazed at simple things. She already knows all the colours, but this would be great to encourage language development as they identify the 'red apple' and the 'blue whale'. As all of Wooden Wonderland's products it's really great quality. 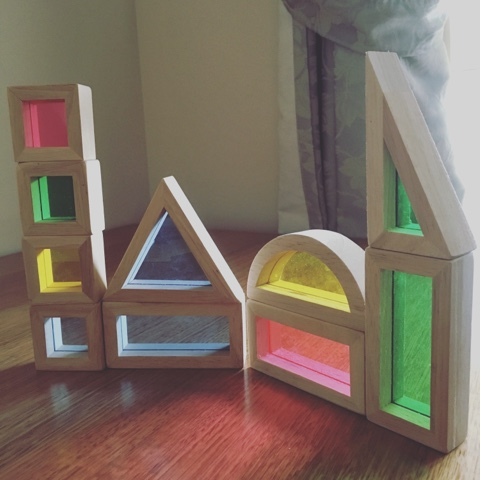 Continuing with the light theme, are these gorgeous rainbow blocks (ours were gifted from Finlee and Me but they're also available from Wooden Wonderland). We always try to pick a sunny spot to play with them to get the full experience. 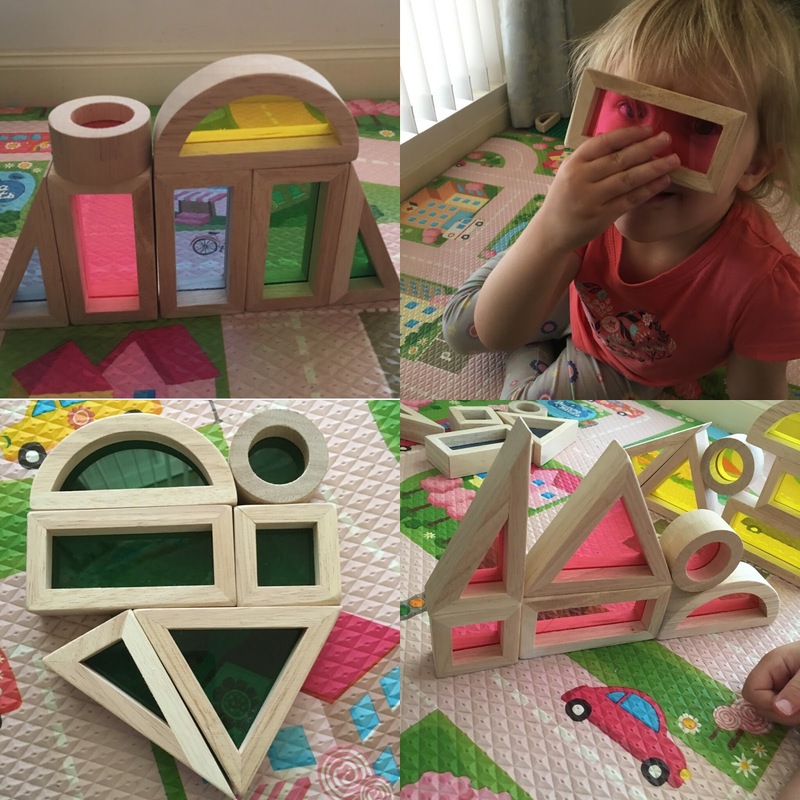 Blocks are an essential ingredient to any child's toy collection as there are so many open ended ways to play with them. 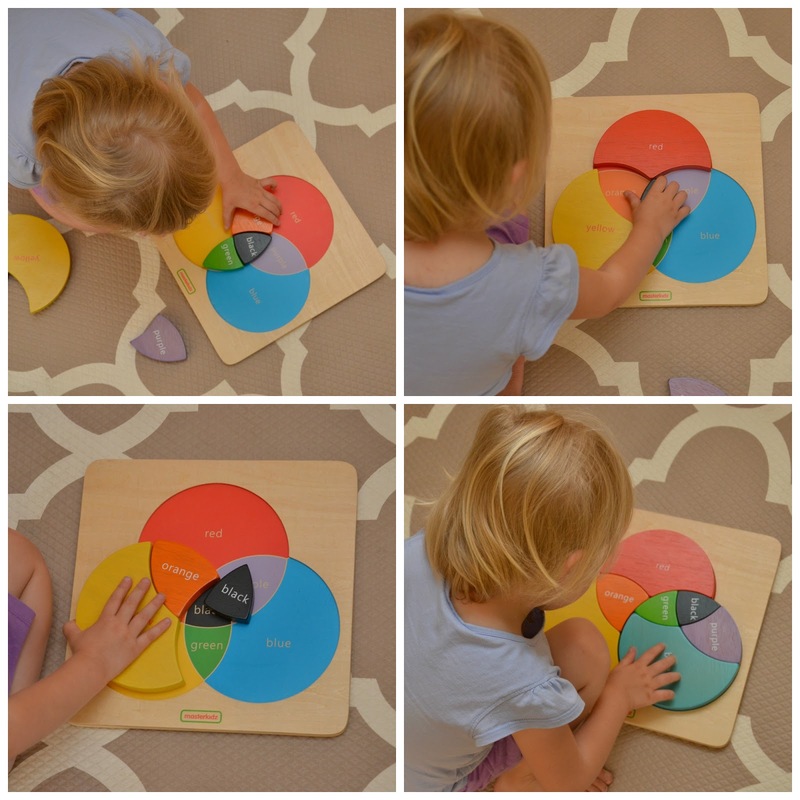 Your little one can explore shape and colour as they sort and construct. Want some more great hands on activity ideas to learn shape and colour? 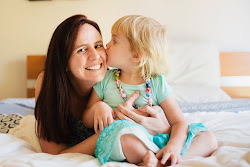 You'll find them here in this post I wrote for Childhood 101. Another fantastic product from Wooden Wonderland is this colour mixing puzzle - I wrote a post all about colour mixing here (incase you missed it!). Remember - Maths isn't just counting and 1 + 1 = 2...there is a whole other world of shape, geometry, transformation, symmetry and logical thinking. Start to look for these learning opportunities in every day life with your preschooler, or students. Such gorgeous looking pieces! Miss L loves talking about colours and shapes and describing things like that.